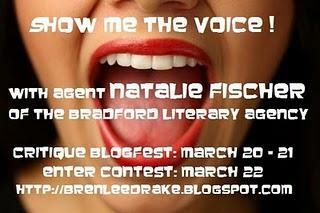 Today I’m posting my entry for Brenda Drake’s Show Me the Voice blogfest/contest. For more information (rules, prizes, etc…), check out my previous post, or visit Brenda’s site. Sitting perched on the countertop next to my sink, I slip a joint between my lips and lose myself in a haze of pungent smoke that distorts the flower patterns dancing across my shower curtain. My bare feet bounce against the cabinet below, drumming out a staccato beat. I zone in, a microscope focused crisp and clear, absorbing the irregular thudding until it permeates through flesh and muscle and organs, vibrating right into my bones. Joint to lips. Deep, deep inhale. Hold the smoke until my chest sizzles. Exhale. Smoking is a solitary thing for me. Something I started doing six months ago, the first time grief clenched my chest, squeezing air from my lungs the same way one might wring out a wet rag. Trapping blood in the chambers of my heart until I’m certain they’ll explode. Stinging my eyes with hot, salty tears, telltale tracks racing down my cheeks. It’s during these times, when the hurt becomes too much to bear, that I steal a moment to lock myself away in my bathroom. Only then can I truly breathe. The irony doesn’t escape me­­—polluting my lungs with illegal herbal smoke shouldn’t comfort me the way, say, a warm hug used to. But the smoke—the simple, methodical act of smoking—kneads otherwise suffocating thoughts from my brain and calms me like nothing else. I’m drifting today—more so than usual. A wisp of cotton caught in an unpredictable summer breeze. I didn’t know what hotboxes meant but I quickly worked that sucker out. I love the setting detail of the flowers on the shower curtain, and there’s something very literary about the line following the ‘microscope focused crisp and clear’. You have a really strong opening image, I easily imagined your protag sitting smoking on the countertop and as I read more I gotta say, you write beautifully– I started highlighting the lines that were a good example of metaphor/simile but there are too many. So yes, the writing/voice is fantastic, I want to know what happened to make this girl so broken and you’ve done a great job setting up the conflict– what is it gonna take to fix this girl? You’ve got a great mix of sentences too, some short and punchy, some long and fluid. The only thing I question — and I had to really search for it — is ‘illegal herbal smoke’ but even that fits somehow with the mature voice you’ve got here. Seriously, I wouldn’t change a thing. Wow. I’ve never smoked a joint in my life, but I’m suddenly feeling awfully mellow…. It was just that real. Totally awesome job! I really felt for your MC – the sadness that pushed her to a fuzzier, happier place. Good luck with the competition. I hope you don’t mind but I played the game: How much could go and still tell the story? Lean. Joint to lips. Deep, deep inhale. I hold the smoke until my chest sizzles. Exhale. When the hurt becomes too much to bear, I lock myself away in my bathroom. Only then can I truly breathe. Sitting next to my sink, I lose myself in a haze of pungent smoke. My bare feet bounce against the cabinet, drumming a staccato beat and pain. I also didn’t know what hotboxing meant, but I loved your excerpt! The description flowed together so effectively I really didn’t see anything I would change. And the voice was great too! Nothing much to say except I’d continue reading. I didn’t know what hotboxing meant either. I loved your piece! Great voice…deep…stoned…depressed…grieving. I’d for sure want to read more and know what is causing her so much pain. I don’t have any suggestions other than the hotboxing concern, but maybe I’m just to old to know that term. LOL. Great voice! I also didn’t know what hotboxing meant, but your voice was fantastic. It really drew me in and left me wanting more. Oh, wow. For heaven’s sake, woman, this is amazing. The imagery is incredible, and though I’ve never smoked dope (or even a cigarette) in my life, I could imagine exactly how it felt. You have some beautiful word choices here as well – ‘kneads’, ‘vibrating right into my bones’, ‘sizzles’. Sigh. Loved it. Want to read more. I also didn’t know what hotboxing meant, but this passage was very descriptive. I think Elaine had a good point- it be even more effective if pared down so each word pushes the reader forward. Very descriptive- I could really picture the scene! Thanks for all the kind words so far. This is turning out to be a fun and super helpful exercise! I’m going to join everyone else and say I had no idea what hotboxing was. That said, I figured it out in with that second sentence. The imagery was great and I had no problem picturing her sitting on the counter, her foot thudding against the cabinet. Love this…and would totally read on. This is great. I have no idea what hotboxing is either, and the first line kind of made me pull back a little. 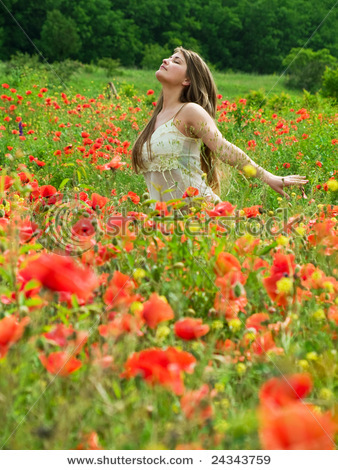 But then your prose is so beautiful I didn’t care anymore. I really feel for this character, and your description of the experience of getting stoned is so truthful and raw it took me right in. The only hotbox I know is the one we used to play in softball. Don’t think that’s what you meant. Love this. I’ve never smoked weed, but wow, great descriptions. Makes me feel as if I know what it’s like now. Really intrigued by this character and what’s brought her to this point. Great voice. Oh, oh – I know what hotboxing is! And I’m a granny. And old hippy granny but still. And on that point, the point of including words that aren’t in common currency, perhaps, I say go for it – we can figure it out from the context pretty darn quick and we don’t need to dumb down our writing – especially for the youth market. I liked this – you had me when you took the time to describe the shower curtain flowers and the foot bouncing against the cabinet. Good telling details, great metaphors. The last sentence didn’t work for me because it seemed to describe a happy go-lucky stoner not our distressed gal. But that’s it. Haha! Love that the self-proclaimed granny knows about hotboxing! While I know lots of people don’t know what it is, I hope that they’ll feel compelled to keep reading so they can find out (and then get hooked into the story :)). Thanks, Jan! Great use of detail; awesome imagery. The clarity and detail with which your protag sees the world is captivating. I wonder how it will go. Great start! “squeezing air from my lungs the same way one might wring out a wet rag” – this is probably just a pet peeve of mine, but I would avoid using “one” like this. It is very impersonal. You could change it to something like “squeezing air from my lungs like water from a wet rag” and get the same imagery without having that (IMO) awkward, ambiguous “one” sitting there. My other point of note is that same paragraph. It starts off describing that first time grief clutched her heart–the next few sentences very accurately and wonderfully describe what that felted like at the time, that first time. The last sentence begins with “It’s during these times…” but the previous sentences were describing a single time. Either your last sentence needs to change (i.e., when these feelings return) or your first sentence needs to change so as not to set up that the paragraph as talking about the first time she experienced such grief. Thanks so much, Wes! I love these types of nit-picky critiques (really!) that help me fine tune everything. I’ll definitely apply your feedback. Great voice. I really felt the MC’s pain and you did a fantastic job creating the scene without just describing the bathroom. Otherwise, I don’t have any other suggestions. Your writing is strong and the passage is very well crafted. Great job! Wow, I really love the voice in here! I was not expecting that beginning, but you write it so beautifully. It’s concise and beautiful, and comes together. Well done! 🙂 Really like this! You know I read this and it was so good I forgot to Say that! LOL came back to see what others said and ooops? lol. I really love the grief tie in – can only breath by polluting her lungs – awesome image of the broken!